A few Canadian Stats on Breast Cancer for you! In 2015, breast cancer continues to be the most common cancer diagnosis in Canadian women – with 1 in 4 (26.1%) cancer diagnoses being breast cancer. It is the second leading cause of cancer deaths in Canadian women, after lung cancer. Fewer Canadian women are dying from breast cancer today than in the past. Breast cancer deaths have decreased by 44 percent since the peak in 1986 due to earlier detectionthrough regular mammography screening, advances in screening technology, and improved treatments. This represents a small, but incremental increase year over year – in 2013, the reduction in breast cancer deaths was quoted as 42 percent, and last year, it was 43 percent. 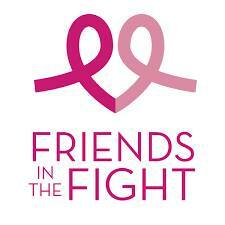 Breast cancer incidence is the number of new cases diagnosed in a population over a period of time. It provides an understanding of the risk of developing breast cancer, and is different than breast cancerprevalence, which is the number of people living with breast cancer in a population at a particular point in time. In 2015, an estimated 25,000 Canadian women will be diagnosed with breast cancer. This is equivalent to 99.7 cases per 100,000 women. Breast cancer continues to be the most commonly diagnosed cancer in Canadian women, representing 26 percent of all newly diagnosed cancers in women. Breast cancer incidence rates in women are generally consistent across Canada, and do not vary significantly by province or territory. Breast cancer incidence rates have remained relatively stable since the late 1980s, though the actual numbers diagnosed each year are increasing due to population growth.